Everything you need to know about the Hilton in Australia, from the staff at Australian Traveller Magazine. There are 7 Hilton hotels located in Australia. 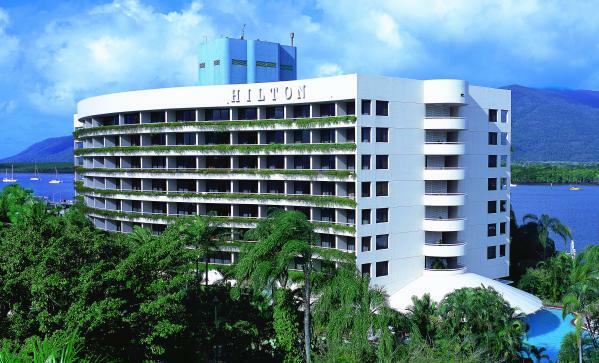 There is a Hilton in most major capital cities, and Hiltons in Cairns and Surfers Paradise. Cairns and Surfers Paradise are leisure destinations, so these Hiltons have more of a resort feel than the other CBD Hiltons. When booking accommodation in Sydney, you may notice that Hilton hotels are not star rated. In 2006 Hilton Australia and AAA Tourism (The owners of the star rating system) had a dispute. The dispute was never resolved and Hilton withdrew from the star rating system in Australia. Rest assured, Hiltons are great properties, and you can expect at least the equivalent if a 4.5* experience at any of their hotels. 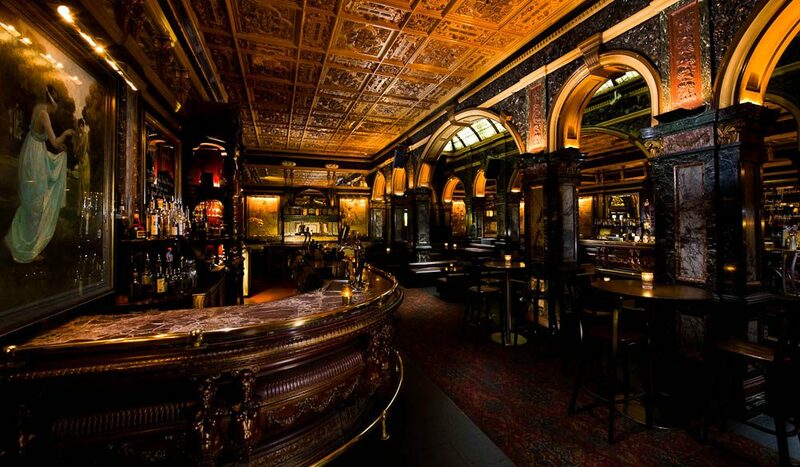 Sydney’s Hilton-hotel-based Marble Bar, built in 1893, is seeking bands that reflect its musical heritage for its 120th birthday festivities. Hilton Sydney was completely refurbished in 2007 (It was a drab 1970’s style building in the centre of the Sydney CBD), and now houses some of Sydney’s more popular bars; Zeta Bar and the stunning, iconic Marble Bar, as well as one of Sydney’s latest, and most fashionable restaurants (Glass Brasserie, By Luke Mangan). The building sits right on George Street, the interior is well done, and the location is fantastic as it’s centred in the shopping precinct of the Sydney CBD. 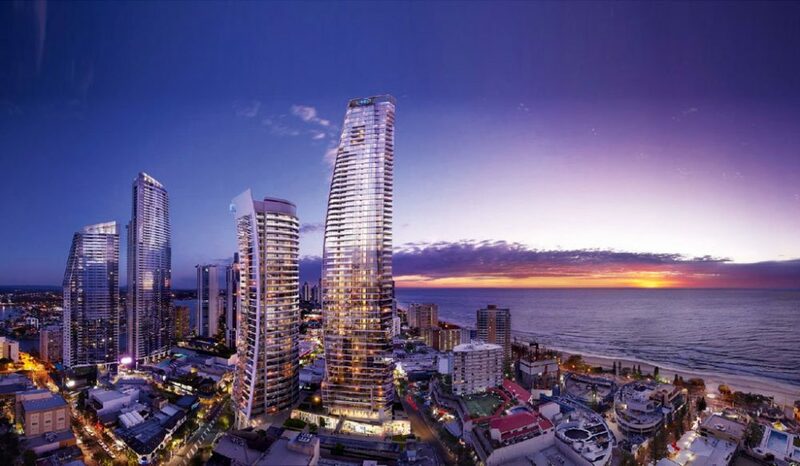 The Hilton Surfers Paradise is a mixed use development with both residential and hotel accommodation spread across two towers on the beach at the Surfers Paradise. The hotel proper has not opened yet, but we will be sure to check it out once it’s opened and give you a report. 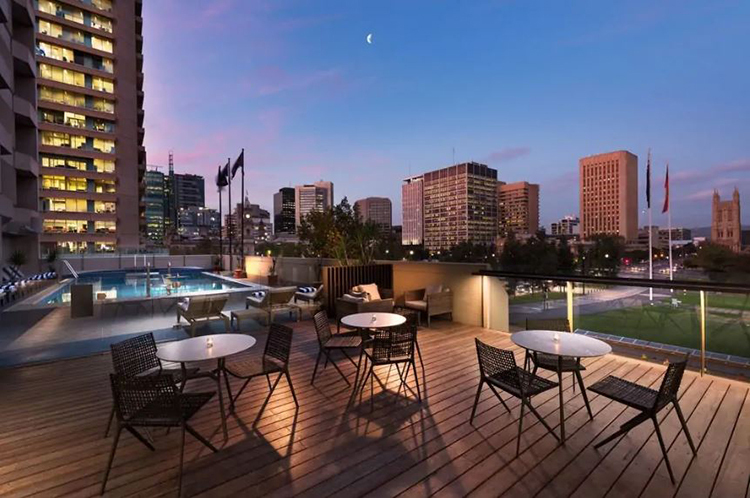 Though it could be said the Hilton Adelaide could do with a refurbishment, it’s a comfortable place to stay with a stunning outdoor deck where guests can have a coffee or a cocktail. This is situated right next to the beautiful pool, so you can’t miss it. 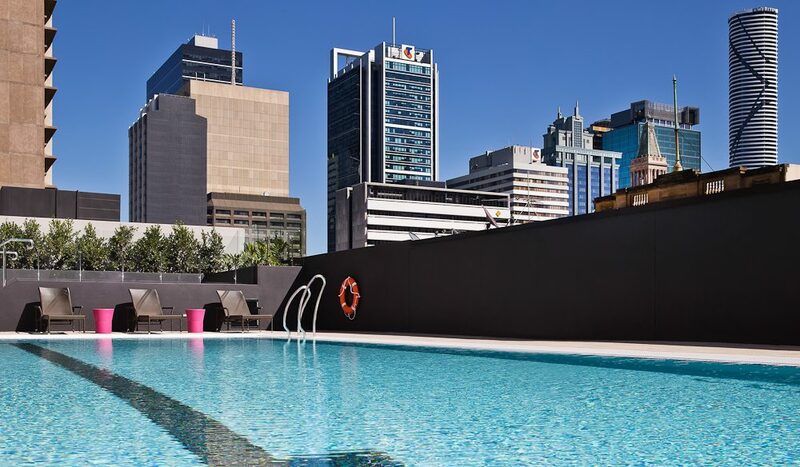 Hilton Brisbane is arguably one of the best 5 star properties in Brisbane. The beautiful interior and atrium you instantly know you are staying somewhere luxe. It is a must stay when having a girls shopping weekend in Brisvegas as it has instant access to Queen St mall. Currently under refurbishment scheduled to finish at the end of Oct 2011. Proving that the cool kid on the block wants to stay your number one place to stay when visiting. Fortunately for the Great Barrier Reef port there are many hotels and resorts for all comforts and style. 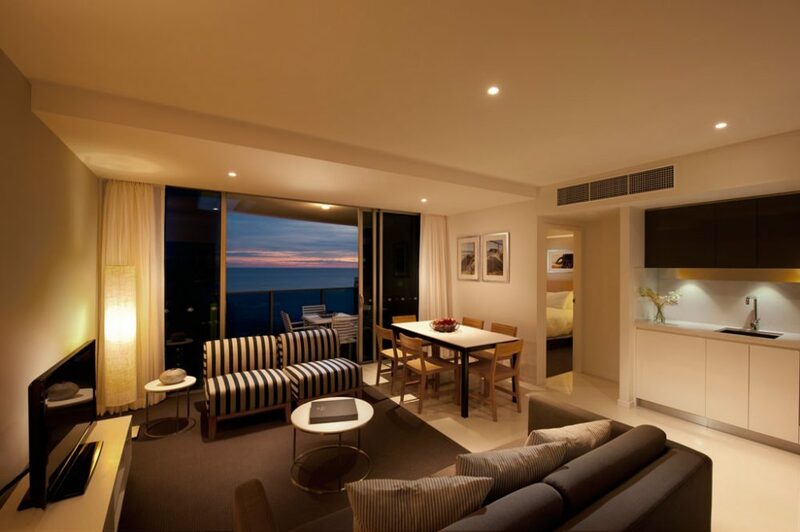 Hilton Cairns should be one of those you consider when booking your trip. If you like a great location, that is!